PARK CITY — The glitz and glamour of Hollywood goes beyond the Santa Monica mountains for a few weeks to land here in the Wasatch range. The essential who’s who of celebrities can be spotted walking the street, bringing you closer to the stars than ever before. Meeting someone who was in your favorite film can be an out-of-body experience and something you may never expect living in Utah. In 1978, Robert Redford established the Sundance Film Festival, and two years later, created the Sundance Institute in order to help filmmakers become better through workshops and interaction with their peers. The vast numbers of panels and discussions with industry leaders and the hundreds of films screened is what Redford envisioned. 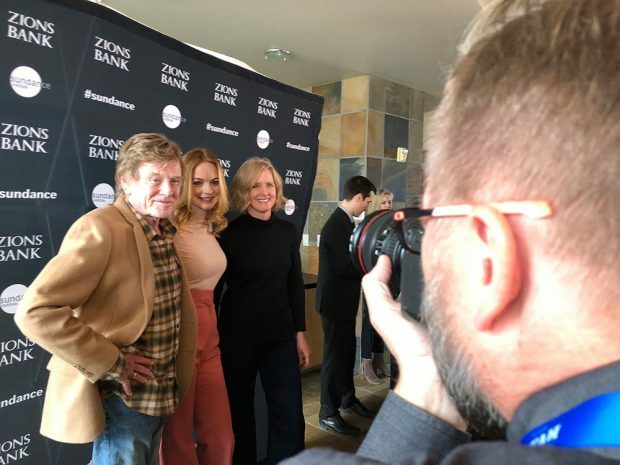 Educating filmmakers is what Redford really wanted to do, and the film department at Salt Lake Community College provides a similar opportunity. Students who want to direct, act, operate a camera, or pursue a plethora of other film industry jobs can learn how to make films and work on sets with professional grade equipment. Sundance Film Festival Director, John Cooper, believes that comparing yourself to others is a quick way to lose confidence in yourself and your work. Diversity in film making was a monumental part of Sundance 2018. Women in film and minorities getting a fair shake at Hollywood was the theme of many panels and powerful stories were shared from people like Octavia Spencer, Heather Graham, and many others. As a student, it can be intimidating at first to reach out to someone for a job or an insider tip, but Christopher Willis, the composer of the upcoming film “The Death of Stalin,” which premiered at the Grand Theatre on opening weekend, says it’s totally okay for people to try to get a hold of you if they have your information in a permissible way. Education is important to the Sundance Institute executives and seeing raw filmmakers fulfill their potential is what they take pride in. Cooper wants to see young people reach out and network and ultimately improve their skills. “I think young people don’t realize how much people want to help them,” Cooper added with a smile. So next time you’re hesitant to make that call or write that email to someone who seems like they’re out of your league, swing for the fences because you never know what the answer could be.